Highlights from Accrington's 3-1 win over Dagenham and Redbridge. 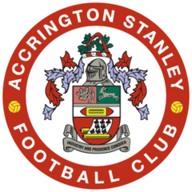 Promotion-chasing Accrington bounced back from successive defeats with a 3-1 win over struggling Dagenham with Seamus Conneely, Matty Pearson and Josh Windass on target. Stanley had a dream start when a Windass corner was only cleared to Conneely and he rifled the ball home with just 95 seconds gone. The home side threatened to run riot against the beleaguered Daggers. 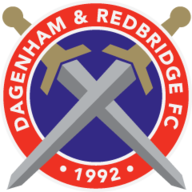 Billy Kee dallied on a shot with the goal at his mercy, Sean McConville fired across the goal and wide while a Matt Crooks flick was tipped over by Dagenham goalkeeper Liam O'Brien. He was then the double hero on 25 minutes, keeping out Piero Mingoia on a quick breakaway and denying McConville on the follow-up as the Dagenham goal led a charmed life. Stanley finally made one count in first-half injury time when Windass' corner was headed home by defender Pearson. Dagenham made a double substitution at the break but it did not help as, on 49 minutes, Mingoia's cross was headed home by Windass for his seventh goal of the season. O'Brien superbly kept out Kee and Mingoia before Dagenham got a consolation in the 62nd minute when, after a rare corner, Nyron Nosworthy fired home from 10 yards.